Why waste your time and energy searching for your ideal dentist job, when we'll do all the work for free? When working with a professional dental recruiter, try to be open to a wide variety of opportunities. Go to every dental job interview you can. It never hurts to visit offices, and an opportunity may turn out to be more than you expected. You can learn from each interview even if it doesn't lead to a dental job opportunity. Although you have specifications for your job search, be open to other locations. The law of supply and demand applies to dental practice opportunities. Typically, the farther you are from a dental school in a metropolitan area, the better the opportunities. We see some of the best opportunities located in great communities OUTSIDE the metropolitan areas. Not to mention that you can typically increase your earning potential by settling in a city or community that is underserved. Have your references ready. They can be former employers, co-workers, or clinical professors. Contact them to let them know to expect calls regarding their experience with you. Have all their contact information in one place. Be prepared to discuss your current production numbers. If you do not have production numbers, then have something that will give the hiring doctor a good idea of your skill set, speed, and experience. If you are just getting out of dental school or a residency, your procedure log may be a good substitute. Always return phone messages and e-mails from dental practice opportunities promptly. It speaks to your motivation, interest, and courtesy. Don’t let returning phone calls or e-mails become an issue or an obstacle to getting an interview. Even if you don’t think you will be interested in a dental job opportunity, return the call. We often see a candidate get a call from a practice opportunity but he was already talking with a different practice. The candidate puts off returning the call to the dental office when, without warning, the initial dental practice does not work out but now the other dental office will not consider the candidate because no calls have been returned. Your main objective when conducting a telephone interview is to get a face-to-face interview. When interviewing at a dental practice, it is important that you treat all staff – from the receptionist to the owner - with courtesy and respect. A dental practice owner often feels like his or her staff is family and will listen to their opinion, especially if they feel they were treated poorly. On more than one occasion, we have seen excellent candidates not offered an opportunity because of their response to staff members. Smile, smile, smile!!! Show your enthusiasm for the position you are discussing. More candidates are hired because of their personality and positive attitude than because of specific clinical skills. Show sincere interest in the practice. Recognize that the dentist needs to solve a problem. Maybe the practice just lost a key associate or, or maybe the practice is growing and cannot keep up with patient demand, perhaps the dentist needs someone to take over the practice when he or she retires. You need to get a clear understanding of the dentist’s true motivation for adding an associate. Once you truly understand needs of the hiring Dentist, you can mutually determine if you are the solution. It is as important for you to interview the prospective dental employer as it is for them to interview you. It is good to have some questions prepared. This will show interest and give you information you need to make an informed decision about the position. DO NOT lead off with questions about compensation. a. What are your treatment philosophies? b. What would be expected of me as an employee; would I be limited to certain types of cases, such as endo or pedo, etc.? c. Tell me about your patient base: families, geriatric, pediatric, etc. d. What demographic changes have occurred with your practice in the last ten years? What changes are on the horizon? e. Do you actively market or depend on referrals? f. What kind of equipment do you use? g. Where do you see the practice in five or ten years? h. What are your goals for the practice? k. Are you referring a lot of certain type of case out of the practice? l. What specific things are you looking for the new Associate to bring to the practice? Always send a personalized, hand written thank you note after an interview. Make sure you get a business card from everyone you speak with so you can verify the spelling of their name, their title and the correct address. In this modern age, thank you emails can be sent so as not to delay expressing your thanks for the dental office’s time and interest, but do not let this email replace a personalized note. Even if you don't want the job, it is professional and impressive to thank your interviewer for his/her time. Follow up with the practice within 24 – 48 hours to reiterate your interest in the position. Every dental job offer and opportunity is unique. Be careful not to compare offers with your colleagues. It is like comparing apples to oranges – they have similarities but are ultimately very different. Know what is most important to you. Don’t get caught up in negotiating wording in a contract and overlook the bigger picture of the overall offer. Discuss what is important to you with the recruiter before and after the interview so that we can negotiate on your behalf. Your recruiter can also assist you in knowing if you have received a competitive offer based on the location, type of practice, and other variables. Do not rely on everything you heard in dental school. 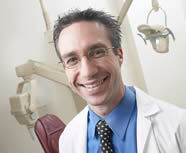 Not every dentist opens their own practice or joins a successful private practice right out of school. There are many schools of thought across the country of what type of practice opportunities can be most successful. Be prepared for contradictions of what you think you know. Dental office owners are focused on what you, as an associate, will do for the practice. As a dental job seeker it is important that you be aware that you are selling yourself to a prospective employer. The practice owner will have choices in who to hire, and is in a position to wait for who they believe is the “right fit.” When applying and/or interviewing for positions, present what you as a potential associate will bring to the table in terms of skills, production, philosophies, and work ethic. Do not jump to what the practice will do for you. You must create YOUR value first. Promptly return the phone call. You cannot get a job or an interview by solely email or text message. If you get a call back in regards to a position then you must return that call ASAP. During a job interview, you cannot overdress. Got the interview? Dress professionally. If you arrive at the interview and you are overdressed you can always remove your tie or jacket, but if you show up underdressed, there is no way to fix that. Check your ego at the door. Owners want to hire a confident associate, but they do not want to hire one that is overly confident or conceited. Be grateful for the interview. You and all your dentist friends will not find employment in the same city. The most popular cities are often the hardest places to find employment. Even though you believe a certain area is a great place to live, you still need to research the potential of finding a job before making your final relocation decision.